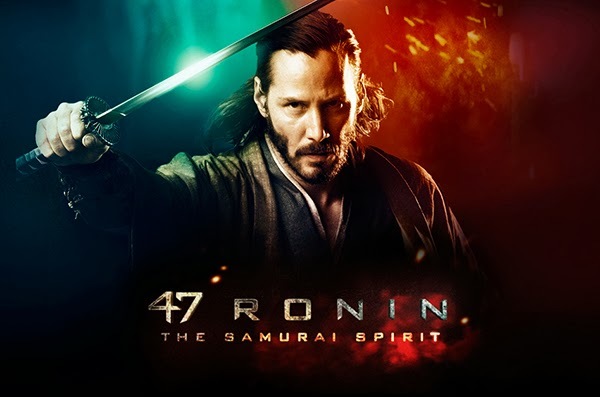 47 Ronin suffers from a holiday release in the US that was crowded by films like Frozen, The Hobbit: The Desolation of Smaug, The Wolf of Wallstreet, and American Hustle. It currently sits at a worldwide gross of only $51 Million. This is pretty low considering that the film cost anywhere from $175-$225 Million to make. But seeing the advance screening last night, I think the big budget is justified on the well crafted production design and special effects. The infusion of demons and witches with the rich history of feudal Japan calls to mind the awesome kung fu movies that we used to see on television; the film's reverence for honor and seppuku borders on cold and admirable. That said, 47 Ronin's snail pace could get a little tedious and watching Keanu trying to act can always feel like a chore. While this isn't the typical explosive Hollywood blockbuster and the heavy Japanese theme may be lost on a Western crowd, the film is still be a pretty good way to open the new year especially for those that are looking for a way to just wash off the bad taste left by (some entries of) the holiday MMFF viewing.